They ain’t, to borrow the vernacular. Although people of color comprised 45 percent of Democratic voters in 2012, less than 2 percent of the $1.1 billion collected over a four-year period by the three primary Democratic fundraising committees went to people of color – defined as U.S. residents who are African American, Latino, Asian American or Pacific Islander, or Native American – according to the “2014 Fannie Lou Hamer Report” by PowerPAC+, a national advocacy organization that helps elect progressives to office by building on the political power of the multiracial majority in America. Actually, the Minority Business Enterprise (MBE) figures are even smaller than reported because the study counted any firm that had a person of color as a principal owner, not the more commonly accepted definition requiring that they be the majority owner. The research was compiled from Federal Election Commission reports filed by the three largest Democratic fundraising committees: the National Democratic Committee, the Democratic Congressional Campaign Committee and the Democratic Senatorial Campaign Committee. Party takes in hundreds of millions of dollars and uses these funds to provide the national electoral infrastructure and support those of the states,” the report stated. But few of those dollars found their way to people of color. Overall, of 285 firms receiving disbursements from the Democratic Party in the 2010 and 2012 election cycles, only 14 – or 4.9 percent – were MBE firms. Five of the MBEs were polling firms, three provided communications services and six provided political strategy services or IT. Among the 14 firms, four of them received 87 percent of all dollars disbursed to MBEs. They were, in order, Peter D. Hart Research Associates, Inc., $2,206,772.50 (25 percent of all MBE Research, dollars); SKD Knickerbocker, $2,138,671 (24 percent); Brilliant Corners Research, Inc., $1,908,369.26 (22 percent) and Thoughtworks ($1,328,464.92). Peter D. Hart, whose firm received the most MBE dollars, is a White male. Yet, highly-respected Black pollster Ronald L. Lester received only $45,670.00 from the Democratic Party, according to the report. 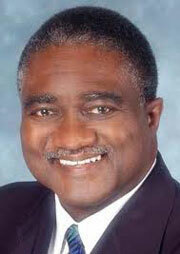 Brilliant Corners, headed by Cornel Belcher, an African American, was third among MBEs with $1.9 million. Dewey Square Group, with Minyon Moore, African American, and Maria Cardona, a Latina, on its team received only $81,054.73, or 0.9 percent of MBE dollars. Measure progress and hold decision-makers accountable. In 2014, the Democratic Party has no credible excuse for such poor performance. Even with an exaggerated definition of what constitutes a Minority Business Enterprise, Democrats fall short. Diversifying spending with Black vendors, Black media and African Americans who offer professional services does not detract from the Party’s overall goal. This report should be followed up with others, including an examination of spending by Republicans.